360 ° breathable mesh, anti-static, strong toughness, high elasticity, fresh breathable and hot. Large capacity storage bag size: 22cm * 13cm, small items can be placed. The shoulder strap is thickened to 20*65mm, not stuffy. 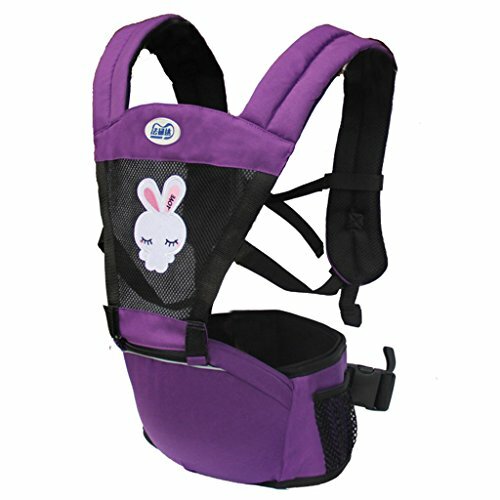 Non-skid bridge + folding windproof hat, anti-skid cross buckle, adjust up and down to prevent loss. The upper abdominal belt on the stool is 115cm. The soft and breathable stool can reduce the burden on unarmed baby shoulders and waist.